There’s a new rewards-focused OTA that’s out that you should definitely know about. It’s called BonWi.com, and I’ve tried them out twice now and earned 40% and 30% back on two bookings, which is rock solid. I’ve had the chance to get with the creators and learn more about the program (no affiliate links here), and I’ve come away thoroughly impressed. BonWi is a new OTA similar to Expedia.com, Booking.com, etc. where you can book hotels and car rentals. They source out tons of wholesalers to provide you with the lowest price (or guarantee it within 24 hours of booking). While getting a low price from an OTA isn’t exactly revolutionary, BonWi’s award system is unlike any other. When you search for hotels, the default search settings will sort the hotels in order based on the highest number of points earned (note this is not the same as best return %). LA search results showing returns of 32%, 19%, and 36%. Each BonWi point is worth 1 cent per point, and the value of of Bonwi points earned can be substantial in some cases. For example, I recently stayed at the Hyatt Regency in Dallas and earned 35,476 BonWi points. The base rate was $876 for a 40% return (or $354 back). On another stay at the Marriott Renaissance in Phoenix, I earned 10,017 points on a $319 base rate for a 31% return (or $100 back). These returns are exceptional even when compared to what I’d earn with even top tier elite status with Hyatt and Marriott. That’s $85 back versus $354 back. A difference of $269! 40% back at the Hyatt Regency Dallas. So here it’s $38 versus $100 back. And Marriott like Hyatt will often honor your elite status benefits, so on this stay I not only received a free breakfast, lounge access, and free internet, but I also received an upgrade to a suite with my Marriott Platinum status. So this was an all-around win for me using BonWi. 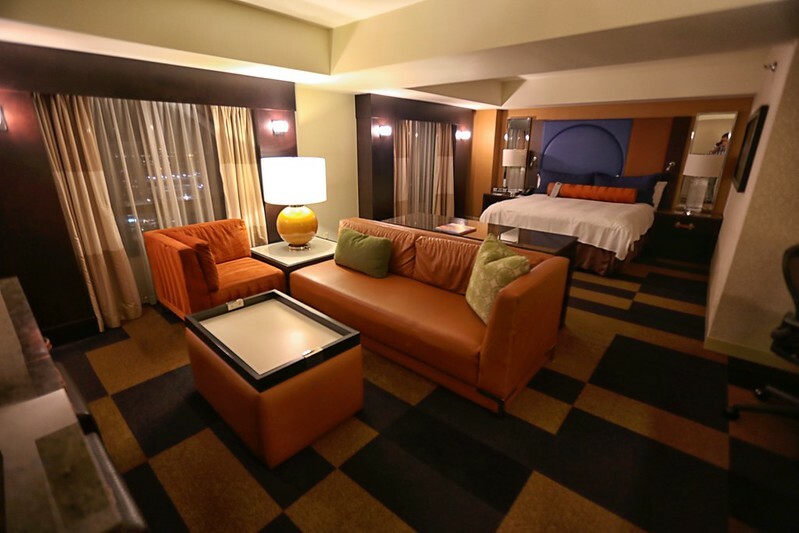 Read more about my experience at the Marriott Renaissance Phoenix Downtown Hotel. Upgraded to a suite at the Marriott Renaissance Phoenix Downtown Hotel. 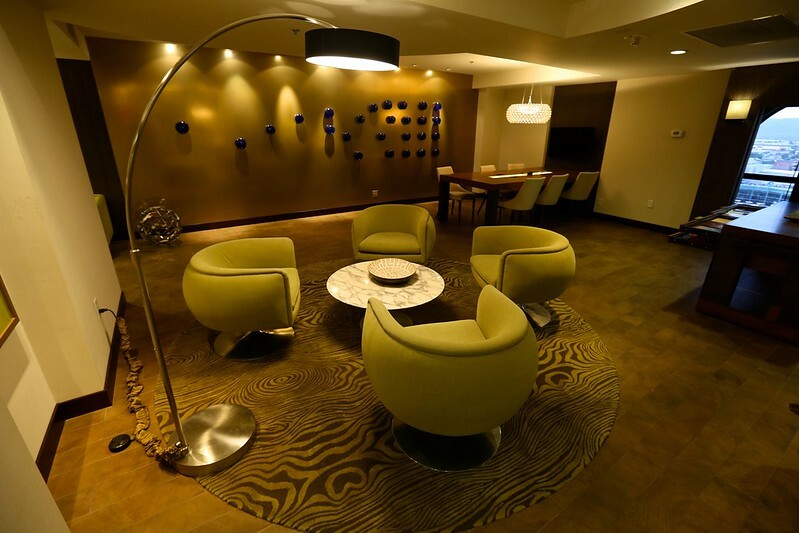 Elevate Lounge at the Marriott Renaissance Phoenix Downtown Hotel. *It’s important to note that other hotel loyalty programs like Hilton and IHG are known to deny elite benefits when booking through an OTA (IHG even does this sometimes when you make an award booking). As stated, all BonWi points can be redeemed at 1 cents per point. You can use these points for hotels, flights, or even gift cards (Visa gift cards should soon be an option). You’ll need at least 50% of the points needed in order to do a cash + points booking. One great thing about the airline portal is that you can book Southwest flights, which is a rarity. Thus, if applied my Companion Pass to the 35,476 points I earned on the Hyatt Regency stay (which I plan to to) it was like effectively netting $708 worth of Southwest airfare for a $876 stay (plus the Rapid Rewards I’ll earn for the flight). The minimum threshold for gift card redemptions is $100 so it’s on the high side but the rapid point earning potential + the $15 credit just for signing up, often makes reaching this point threshold much more attainable. I earned 3X on my Chase Sapphire Reserve when making bookings on BonWi.com. I assume this would be the case for many other cards (cards like the Altitude Reserve excluded). And of course you have to consider the oppurtunity cost of not earning points and stay credits with your loyalty program. With all of those factors considered, I think BonWi.com is still definitely worth it many cases. At the very least, it’s worth checking out when you’re planning a trip because your hotel of choice might be netting a 30% to 40% return. Even if the returns are closer to 15-20% which would be more common, that’s still more than you earn as a top elite member at just about every major hotel program, barring special promotions. Overall, you’ll find some properties offer amazing returns while others don’t offer exceptional value, so it’s important to shop around. I think the fact that you can earn a substantial amount of points on one booking and redeem points at 1 cent per point is big for this program. Many people don’t travel enough to earn enough points on bookings to be able to actually do something with them. Instead, those points just rot away in their account. With BonWi, you might be able to net a couple of hundred dollars worth of travel or gift cards with just one or two stays, especially since they start you out with $15 worth of points just for signing up. Thus, BonWi can be very practical for those who seldom travel. I’ll definitely be searching BonWi in the future for my bookings and booking when the price is right. I venture to the Caribbean a lot where sometimes it’s hard to find major hotel chains so OTAs have always come in handy there. I’ve also relied on OTAs for bookings in other random places like Portugal. But I also will consider booking my future Marriott stays through BonWi since Marriott has been more than happy to honor my elite benefits. Aside from losing out on elite credit and occasionally on elite perks, the only cons I’d point out are technical in nature. You’ll notice that the search feature is a bit sluggish (think Aeroplan), but that’s because they’re scanning so many different wholesalers to find prices where they can offer such lucrative rewards. The site is also still a bit new so it doesn’t have all the bells and whistles that some other OTAs might have. Still, all of my bookings have been smooth. There’s a chat feature for customer service that I haven’t had to use yet so I can’t comment on the customer service, which I know is often big concern when booking though OTAs. The opportunity to earn up to 40% back on hotel stays is exceptional. The fact that I can get the awesome return rates of Bonwi and also still utilize my elite benefits at Marriott properties for free internet, breakfasts, and upgrades is very attractive to me. Add in the 3X on my Sapphire Reserve and ability to redeem points at one cent per point on Southwest, and I think Bonwi is a very competitive product that should be on your radar.